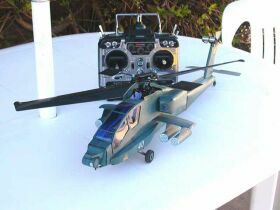 Welcome to the first New Zealand website dedicated to the hobby of building and flying miniature radio controlled helicopters. This site is under constant development as I will keep adding to it as time allows. As the site grows I hope it will become a useful resource for anyone who is interested in micro RC helicopters. Please use your refresh button when re-visiting these pages, as I will be adding content on a regular basis. Please check the Site News for the latest additions and changes to this site. We are running a special offer of a 25% discount on all plans with 1000mb of storage and up for our readers. That's the equivalent of three months free web site hosting over a twelve month period! 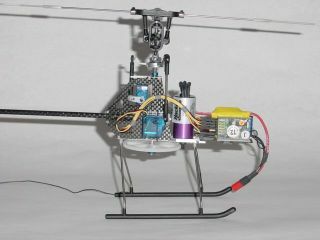 Micro-Helis are miniature radio controlled helicopters capable of being flown both inside your house and outdoors too. Unlike their larger cousins, you can fly one of these helis in your living room at 1.00 am without upsetting the neighbours! Micro Helis are usually around 600mm (24") long with rotor diameters of about 500mm (20'), although nowadays even smaller ones are available! They are driven by small electric motors, which means minimal noise, no fuel, and no fuss. Depending on the type of batteries used flight times range from around 5 minutes for Nicad packs , 8-10 minutes with NiMh packs, and anywhere from 15-40 minutes with Li-poly cells. The flying abilities of these tiny helis ranges widely. From the relatively cheap, simple fixed pitch machines - capable of basic hovering and circuits, right through to hot brushless motor equipped collective pitch machines, there is a heli to suit most needs. The 'hot' machines are not only capable of a full range of aerobatics, but they can also pull off stunts that their bigger cousins could never do, like making inverted ceiling landings in a small room! 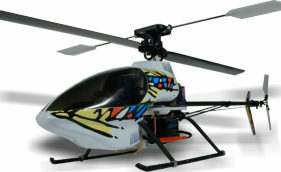 Like all radio controlled helicopters, they are probably the most difficult of all radio controlled vehicles to learn. But with care and patience, and maybe some help from more experienced flyers, anyone can learn to fly one of these fun and fascinating machines. MicroHelis New Zealand aims to be unbiased towards makes and manufacturers and where possible we will cover as wide a field as we can for you. We have information on some of the makes and models of Micro-Heli that are available, and a FAQ (Frequently Asked Questions) section covering those questions most often asked. A site wide search engine is available on the top navigation bar for keyword searching on this and other Micro Heli NZ sites. Also in the 'need to know' category is our glossary of terms, which should help out with some of the weird and wonderful words, terms, and acronyms that we use. 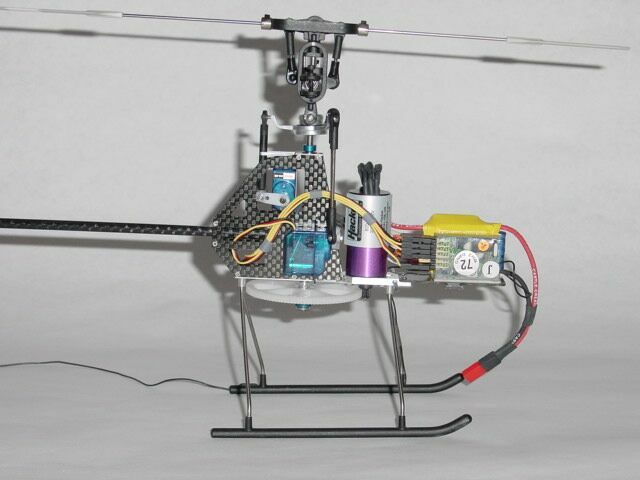 The MicroHeli News section will fill you in on what's happening in the MicroHeli world and the Site News will keep you posted on developments and additions to this site. For those of you that like to communicate with others, we have an excellent free message board, a free chat room and the obligatory Guest Book. A new addition for 2004 is our Review section. This is a new area for us which we have started off with our MS Composit Hornet II Review and have recently followed up with our new Ikarus FUN Piccolo review. The review page also now features a sneak preview of upcoming reviews. Also of interest is our Member Sites links- these sites are hosted by MicroHelis New Zealand and range from club sites to individual flyers personal sites. How do I Navigate around this site? I'm trying a different method of site navigation on this site. Main site navigation is from the Top Navigation Bar, with the individual pages available as pop-up sub menus under each section. Navigation within a page is provided by the Section Menu down the left hand side of each page. If you do get lost, a Home button, and Back to previous page button are available just above the main title for each page.